One of the most important moments in film is the opening scene. Ending scenes, plot twists and other elements all leave the lasting impression, but you only get one opportunity to hook an audience. If you don’t grab them with your opening scene, then you’ll be fighting an uphill battle the rest of the way. But it’s important to make sure that the opening is dynamic as well. If this scene is only a hook, then the audience doesn’t become engaged with the characters or story and you’re starting from square one the instant the scene ends. By looking at Bridesmaids (2011), we can see a fantastic execution of an opening scene. 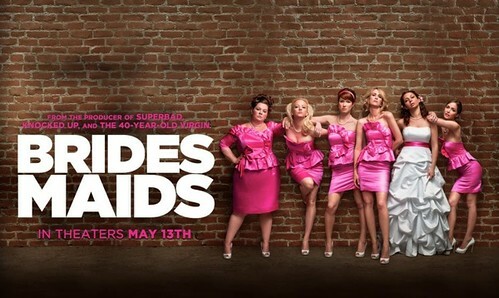 I will try to avoid spoilers, but by choosing this style of scene to open the film, Bridesmaids tells us several things about the film itself. We learn Annie (Kristen Wiig) never seems to get what she wants. We learn the most important man in her life is a self-obsessed misogynist. We learn that the type of humor in this film will not appeal only to women, much to the delight of the men in the audience. All of this comes to us while still hooking the audience with a hilarious opening scene. If you want to look back further, we can find several examples of excellent opening scenes. A lot of people forget what began the recent trend of superhero movies. Early films like X-Men (2000) generally get the credit, but you can trace it back further to the success of a little Marvel film called Blade (1998). Blade was also home to an excellent opening scene. By watching this scene we learn the entire premise of the film. There is a vampire menace, and they are luring humans to their deaths. The only person that can protect the humans is Blade (Wesley Snipes). It also sets up the action style coming in this film. While the intro isn’t an in depth character study as in Bridesmaids, the opening from Blade sets up the actioner nicely. One of the most famous examples of an opening scene is possibly the least informative as to the nature of the film. When Quentin Tarantino broke onto the scene with Reservoir Dogs (1992), he introduced Hollywood and the world to a new style of dialogue. Instead of traditional exposition, Tarantino had his characters discuss a completely unrelated issue in the opening scene. What resulted is a film conversation still remembered to this day. Tarantino’s opening offers a glimpse not into the lives of the characters, but into the psyche. The conversation about Madonna’s Like A Virgin (1984) shows us the characters varying ways of interpreting the world. When Mr. Pink (Steve Buscemi) refuses to tip the waitress, we learn that he is a selfish man who is not afraid to put his well-being ahead of others. This theme plays out when Mr. Pink runs out with the diamonds at the end of the film, a last ditch effort to save himself. What are some of your favorite opening scenes? What scenes fell flat, despite being attached to good movie? Leave your thoughts in the comments! It has become a common convention to associate a film with a director, and rightfully so. The director is where all the elements of a film come together, so it makes sense to label a director as auteur of a film. But, also because of this, many directors receive all the credit when it should be somebody else who created a specific part of the film. Directors who have a specific and recognizable style can often have that style attributed to the creative people they frequently work with. With this in mind, I thought it would be fun to discuss some of the greatest partnerships in movies. If you compare the early work of Steven Spielberg with his more modern work, something is quite obviously changed: the films look different. Many of Spielberg’s early films are characterized by a warm, and sometimes soft feeling, look. Now his films have a much sharper and crisp visual style. 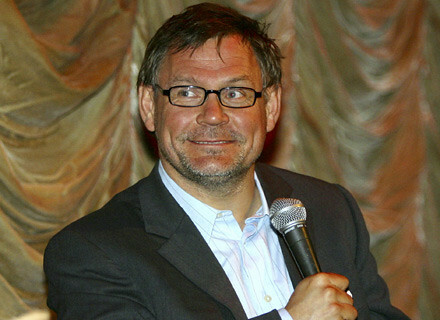 Enter cinematographer Janusz Kaminski. One need only look at Spielberg’s iconic Indiana Jones series to see the difference made by Kaminski. 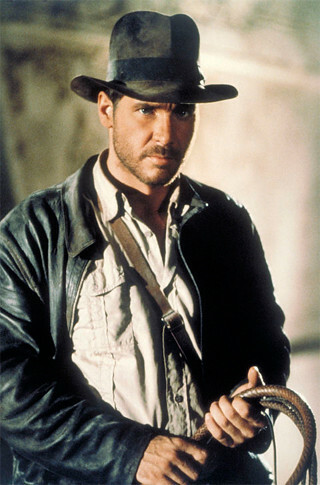 Looking at the original trilogy, the Indy films are characterized by very warm palettes and an average focal length. 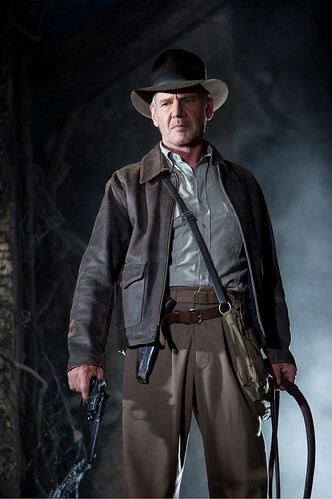 Looking at Kingdom of the Crystal Skull (2008) we can see the influence of Kaminski. Skull is characterized by a cool palette, lending itself to the less romanticized villains as we transfer from the Nazis to the Russians. Kaminski also makes heavy use of deep focus, making all the scenes seem sharp and crisp. Every detail is noticeable in the scenes instead of using shallower focus to draw an audiences attention to one area. When Tarantino burst onto the scene with his hit film Reservoir Dogs (1992), he did so with editor Sally Menke at his side. As much as Tarantino’s trademark dialogue and unique storytelling style influences the audience, so does Sally Menke’s editing style. A unique ability to match cuts to whichever style of scene or film Tarantino brought her way, Menke’s editing gives the work of Tarantino it’s look and feel. By looking at two halves of the same film, we can see the versatility and style Menke brought to the films. Looking at Kill Bill: Volume One (2003) and Kill Bill: Volume Two (2004), we can see two different styles of film blending together seamlessly. Volume One is more of a Kung-Fu film, in the style of the greats from the likes of Bruce Lee and Jackie Chan. The over the top violence and minimal story (remember that Volume One only had The Bride going after two of her enemies, and not Bill) makes this film a challenge to cut and keep an audience involved. Menke succeeded in spades. Fast forward to look at Volume Two, which is a much different film. The Kung-Fu influences are still there, but the structure and feel of the film takes on a far more Western tone in the same vein as great revenge tales like True Grit (1969) and The Searchers (1956). This shift in tone between two halves of the same film proves the versatility of an accomplished editor like Sally Menke. Sadly, Sally Menke passed away in September of 2010. As of my knowledge, their is currently no word on who will succeed her on Tarantino’s next film. 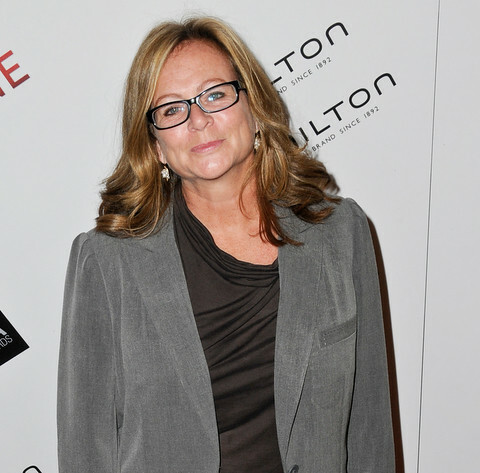 She will be missed in the editing and filmmaking community. This category could easily have involved Steven Spielberg again, but to keep things fresh I’ve included George Lucas instead. As iconic as George Lucas’ films are, could you imagine them without some of the most memorable soundtracks in history? 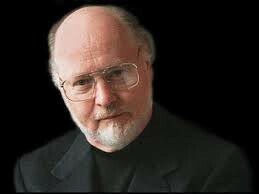 John Williams can be credited with many of the film tracks you hear and remember. With Lucas, imagine the opening title theme from Star Wars Episode IV: A New Hope (1977). It conjures a sense of adventure and romance, just within it’s opening beats. Without this theme, one could argue A New Hope would not have sprungboard the entire Star Wars franchise. This opening theme gets one excited for the film. From A New Hope, Williams went on to compose music for all the films in the Star Wars franchise. But I couldn’t put Lucas and Williams together for just this one franchise, even if it does include six films. Williams also composed music for the Lucas/Spielberg collaboration Raiders of the Lost Ark (1981), including the theme: The Raider’s March. Much like the theme from Star Wars, The Raider’s March immediately immerses viewers in a sense of romance and adventure, bringing them into the world of Indiana Jones. While this is obviously a very brief look at only three partnerships in film, it gives a short glimpse into a bit of the work that goes into films to give director’s their distinct look and feel. Also, I intentionally didn’t go into the partnerships between director’s and specific actors as this could be a blog unto itself. But the partnerships covered are fairly iconic. Where do you think we are going from here? Who are some of the best partners in the film world right now? Leave your thoughts in the comments! In my last blog post I briefly went over some of the major changes in the post-production world in 2010. Particularly I chronicled the arrivals of Avid Media Composer 5 and Adobe Creative Suite 5. This has raised an interesting follow-up topic: how important is it to keep up with modern innovations in production technology? In one simple answer: very. As the production world continues to change and adapt around us in the digital age, it is incredibly important to keep up with those changes. It wasn’t that long ago that nobody had even heard of an iPod, and now we’re using iPhones to shoot, edit and output HD films. A clear understanding of the technology around us is crucial to remain a relevant member of any production team. This is probably most evident with camera operators and post-production crew. For the most part, they are the ones dealing with rapidly changing technology the most. Camera operators are now faced with the challenges created by new formats and cameras, namely changing from film based to digital, but lets not forget that the shift to HD for television is still a relatively recent switch as well. We’ve gone from SD to HD to 4K in an incredibly short period of time. With cameras like the RED Scarlet and ARRI Alexa now, we can expect the trend to continue as digital quality swells, while prices and camera sizes fall. When I say post-production crew, I am referring most specifically to editors and VFX artists (including graphics). It seems every day there is some new piece of technology coming out that can improve the workflow or abilities of the post-production crew. MC5 and CS5 this year are large sweeping examples of this, but it’s the specialist companies that keep the industry constantly changing. Companies like Red Giant Software, as one example, have revolutionized time and again the post-production process time and again by utilizing the idea of plug-ins. For a post-production crew member, these plug-ins are easy to install into your existing software and can offer incredible levels of control over video. Magic Bullet Looks, for example, allows anyone to easily and quickly create engaging, cinematic looks for their footage. They have presets for this plug-in, but an in depth understanding of how the Looks Suite works allows you to set your work apart from those who use only the presets. Another fine example is the work done by Andrew Kramer over at Video Copilot, who has taken full advantage of plug-ins to create affordable effects filters for After Effects. While camera operators and post-production crews are the most directly affected by this rapidly changing technology, producers, writers and all members of a production need to have at least some understanding of how the process works. This allows a team to work together more smoothly. Every editor has been told that an edit should only take them so long to do by a producer that has no real grasp on how editing works. Learning new technologies doesn’t only allow those directly involved to use the technologies more efficiently, but it can create a culture of respect if those using the technology know those in charge of the production have taken the time to learn how their process works. Once we’re all speaking the same language, we can all realistically set goals and workflows. Luckily, the modern technology has also made keeping up with technology far simpler. No longer do we have to take time off to learn all these new workflows, though seminars and trade shows are still excellent options, instead we can take to the internet (or the cloud as the new buzz phrase would have it) and search out affordable training and tutorials on any specific piece we need. With training and education at our fingertips, there is really no reason to allow technology to pass us by. So what do you think? Is technology moving too fast for our own good, or is it pushing us to where we need to go with our productions? Leave your thoughts in the comments! 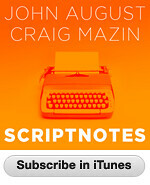 This blog was made possible by NewMediaWebinars.com, creators of online seminars for digital filmmakers. It’s officially that time of year again. Time to take a look back before our leap forward. 2010 was quite the year for the world of video and film production professionals with new developments that have changed productions and workflows the world over. I wanted to take a little time and look back at the year that was in production technology. NAB, as always, was a heavy hitter this year in terms of newsworthy events and releases, but I have a hard time remembering the last time we had two announcements coming from NAB as large as the big two this year: Avid Media Composer 5 and Adobe Creative Suite 5. Adobe announced one of this years most hotly anticipated production products with CS5. There were the usual updates and upgrades, but two features really stood out for me: Avid Media Composer support and the new 64-bit versions of these applications. Most post-production workflows involve combining footage from the edit suite with graphic treatments from the Creative Suite. Some use it more, some use it less, but most everybody uses it. Now the days of exporting to be able to reimport into the edit suite are gone. The CS5 can import OMF files directly from Avid, allowing existing sequences and media to stay in tact throughout the process. 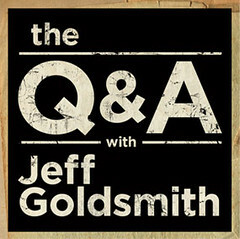 The utilization of a 64-bit environment, however, is what really set Adobe CS5 apart. It allows the entire Creative Suite to run faster and more efficiently. The 64-bit version also allows Premiere to take full advantage of the new Mercury playback engine, allowing for faster playback and editing of HD content. These changes have really put Adobe in the game, not just as design tools, but also as a legitimate alternative for video editing. But, in my opinion, it wasn’t Adobe that stole the show at NAB this year. That honour was reserved for the group at Avid. NAB was the culmination of Avid’s ‘New Thinking’ campaign, a campaign designed to help Avid reconnect with it’s users. Over the years, Avid had taken quite a hit from competitors like Final Cut and Premiere Pro. Other companies embraced a lot of the potential of NLE’s, while Avid seemed to lag behind while catering to a more linear style of editor. At NAB, Avid announced Media Composer 5, the latest iteration of their workhorse editing platform. With MC5, Avid was ready to show editors everywhere why they could still be considered a heavy hitter in the world of NLE’s. Without a doubt, they hit it out of the park with MC5. MC5 left behind the idea of Media Composer and Final Cut editors being at each others throats because of proprietary formats. Instead, Avid improved on a good, if under utilized, idea from MC4: AMA or Avid Media Access. The AMA tool allows Media Composer editors to link to almost any type of file, instead of relying lengthy imports only to find that the file is incompatible. The use of AMA would not only make Avid more compatible with other systems, but it would speed up the editing process by cutting down on time spent ingesting footage. One of the largest complaints about MC over the years has been that it has been difficult to use and learn if you weren’t an Avid editor already. The transition from Avid to Final Cut or Premiere was far easier than vice versa. In MC5, Avid has utilized the new Smart Tool, making the Avid environment a far more friendly place for Final Cut and Premiere Pro users. With these massive updates to both Avid and Adobe products, one of the biggest questions that remains is to the future of Final Cut. Apple has let Final Cut become stagnant, leaving much to be desired in their updates. Many experts would argue that Avid and Adobe have both become stronger editing solutions than Final Cut. Since NAB, Apple has announced a new version of Final Cut will be appearing in 2011. While this is promising, Apple has only gone so far as to say that the new Final Cut will be faster than previous versions, leaving the future of Final Cut basically a mystery. It looks like 2010 has set up an exciting 2011 in the post-production suite, but what are your thoughts? Who stole the show in 2010: Avid, Adobe or someone else? Where is Final Cut heading in the next year? Leave your thoughts in the comments! There’s a term that is very familiar to veteran editors. And if it’s not, then it should be. It’s called ‘seeing outside the frame’ and it’s why the editing position is so important. Producers, directors and camera people all have the challenge of putting together a shoot on location. They are the ones dealing with the pre-production and actual production. Any issues with budgets, weather, performance, or anything else will always settle with at least one of these three people. Editors have the unique perspective of not having to deal with these problems, giving them invaluable insight into any footage they receive. When a producer or someone else comes back to the edit suite, they bring the baggage of the whole shoot with them. The editor doesn’t have this baggage, they are the only ones able to give a completely unbiased opinion as to which shots work and which don’t. A good editor doesn’t care if the crane shot angle cost $25,000 or if someone had to work really hard to get access somewhere for a specific kind of shot. They only care if the shot works. That’s not to say there’s no room for compromise, the industry is built on collaboration, but it does mean the editor should have an opinion with some weight behind it. This is why it’s so important, as an editor, to watch all your footage. Many producers/directors will come to you with their notes from the shoot. Depending on what the project is, these notes will include changes, timecodes, good takes and/or other bits of info from on location. These notes are a great help an can speed up the entire editing process. Go through them and use them, but always remember they are not written in stone. By watching all your footage you become the best resource as to which takes are the best, and those takes may not always be the ones listed in the script. It is your job as an editor to know your footage inside and out, and to stand up for decisions you’ve made in editing. If you don’t know your footage or why you made an edit, then you can’t defend it to a producer. In the end, someone will make a less informed decision and the product will suffer. All the pre-production and production items end up in the editors lap, and you need to know what you’re dealing with, so be sure to take the time to watch the footage and go through the notes, always keeping your eyes inside the frame. Well, it took about a year, but I finally uploaded the wedding video I shot for friends Lindsay Stewart and Brian Buchanan. They came to me wanting to do a parody of the Lonely Island hit ‘I’m on a Boat,’ titled ‘We’re Getting Eloped.’ They came up with the lyrics and brought local musician Jon Hilner on board to take care of the music, and I handled the rest. We shot in Hawrelak Park, and were fortunate enough to have the weather on our side. Due to equipment constraints, the video was shot on a Sony DCR-HC20. With some tweaks in Avid, the picture quality actually turned out quite good for a standard def camcorder. The video was edited in a Media Composer 5 suite, the final product is below.